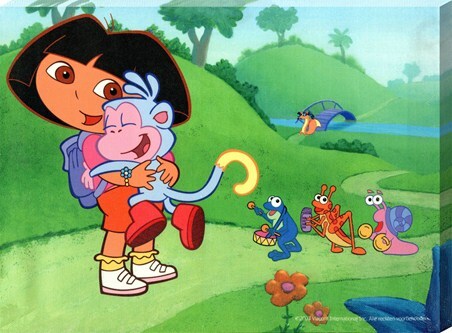 Children’s Canvas Print: It’s time for a big cuddle with Dora and her best friend Boots the monkey in this adorable children’s canvas print. From the animated children’s series ‘Dora the Explorer’, these best of friends take some time out from their adventures for a cuddle before they skip off over the grass for more fun and frolics. 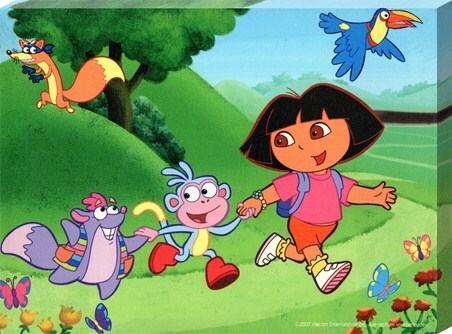 Surrounded by the ‘Fiesta Trio’ who appear when Dora and Boots complete a quest, this lovely scene is sure to make a heart warming addition to your child’s bedroom. But watch out! 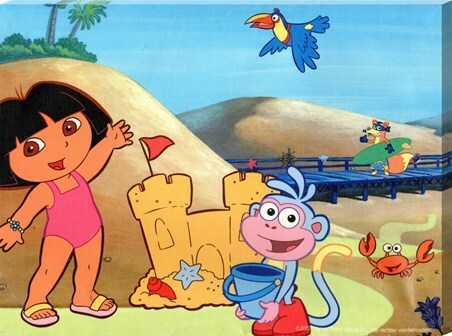 Swiper the sneaky fox is top toeing across the background as he tries to get his hands on some of Dora’s treasures. 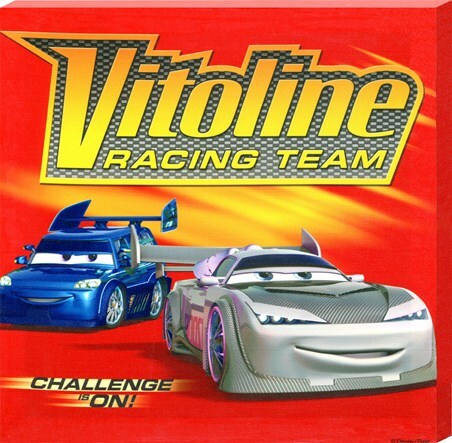 A colourful canvas filled with fun and frolics with your favourite Spanish speaking friends. High quality, framed Cuddle Time for Dora & Boots, Dora the Explorer canvas print with a bespoke frame by our custom framing service.